I was always going to teach children – but primary school was what I originally had in mind. My mum was always in my ear saying “children are drawn to you, you need to do something with children!” A friend who was an Early Childhood Teacher told me to use the Diploma in Children’s Services as a stepping stone into a primary school uni degree. My first thought was: “Child Care? I don’t know anything about it!” – I found my place and knew this is where I wanted to be. I said goodbye to my Primary School dream and hello to the Early Childhood Sector, completing my Diploma and beginning my first room leader role at just 19 and never looking back- 14 years on this year in which I also completed my Bachelor of Teaching (Early Childhood). Children within Early Childhood have minds like sponges. I strongly believe that their capabilities are underestimated! Each child establishes their thought patterns and personalities from so young and it is so satisfying to know that I have been a part of their flourishing development – there is nothing more rewarding than that! After working within various casual roles whilst studying and then almost 7 years at the one centre, progressing and working with different age groups and gaining experience within assorted managerial roles, I wanted more! After numerous interviews and job offers I just couldn’t find THE place. Then I met Eleni, came home to my husband and said “I’ve found it!!! 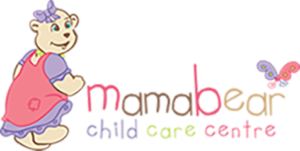 I want to work at Mama Bear!” Thank God Eleni wanted me to join the BearTeam! I have come to a service that values and cares for children as though they are their own. The relationships that are formed with families are at a level I had never experienced nor anticipated before. 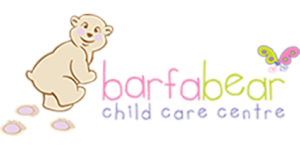 This is my 8th year as part of the BearChildCare team, progressing from Room Leader and extending to the Manager of Mama Bear. I have learnt so much and continue to learn as the years go on. The pride I have working at Mama Bear radiates from me- I am truly blessed! 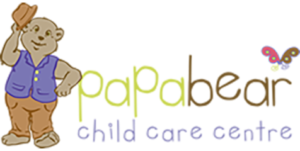 Throughout my time as Centre Manager of Mama Bear, I have managed the process of further developing and establishing it into a consistently High Quality Accredited Centre, and now under the new National Assessment & Rating Process, we are AN EXCEEDING QUALITY CENTRE! 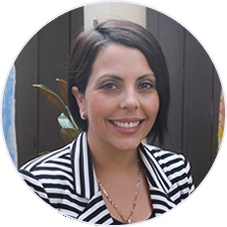 My husband and I are both of an Italian background, been married for almost 9 years, parents of a beautiful little girl, living in our own home near Camden – yet no bumper to bumper M5 traffic will prevent me from working in an inspiring Early Childhood Service like Mama Bear!